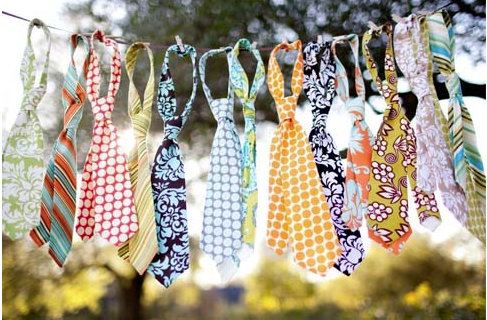 I saw this fun tie garland from Sandytoes and Popsicles last year and fell in love with the idea. Then I couldn't remember where I saw it. I looked, but couldn't find it. 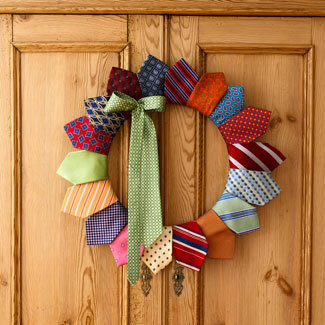 And again this year when I found this tie wreath I wanted to post about the garland that would go with it. But last night I was cleaning out some of the drafts I have saved to this blog (we won't mention that there were 382). I found a link I had saved! YAY! So there you have it, my favorite Father's Day garland at last! You can check it out HERE. CUTE ideas!! Yea for pinterest! I'm wondering how we lived without it! lol! I absolutely love that tie garland!! !